Taking care of Spam comments is probably the biggest pain for larger sites. This is the reason why many large organizations prefer to use third-party commenting system like Disqus and etc. Adding a moderation facility in your site is probably the most ideal way to tackle Spam. 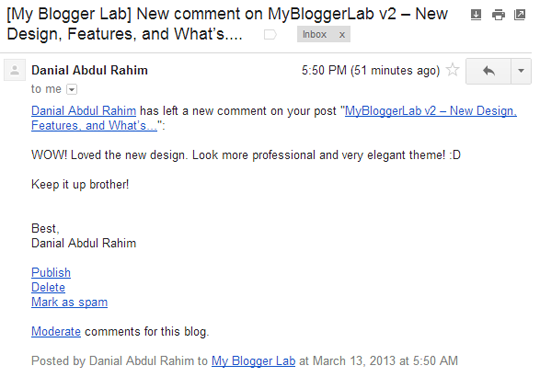 By default, blogger does not enable the comment moderation. Therefore, you did not receive any notifications when someone leaves Spammy remarks on your site. 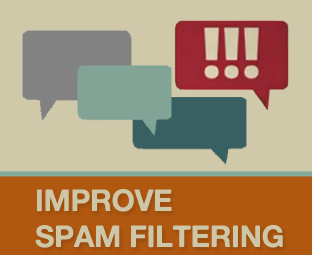 In this article, we will show you How to Control Spam Comments in Blogger? First thing you need to do is to login into your blogger dashboard. Now Go to Settings >> Post and Comments >> Comment Moderation. Now you would see a couple of options i.e. Always and Sometime. You can decide if you would like to always moderate, sometimes or may be never. Let assume you select “Always” then you will get an option to enter your email address where you will receive notifications that there are some comments which are awaiting your moderation. If you select “Sometimes”, then you have to specify how many days old post should be before it qualifies for moderation. “Sometime” is probably the best option because it allows you to keep your comments current and fresh. Once done, hit the “Save Setting” button at the top right cover of your screen. After enabling this feature, you will get a new option i.e. “Awaiting moderation”. It is the place, from where you will see the list of comments which are awaiting your approval (This list excludes any comment made by admin of the site). In Each line it displays the author name along with the date it was created. There is an option for approving and disapproving the comment or you can even mark it as a spam. If you have tons of comments awaiting moderation, then you can use the multiple options and can accept or reject them at once by checking the boxes allocated at the top of the page. For more comprehensive details see the following screenshot. The same thing can be done directly from your email inbox. If you have entered an email address for moderation then, you will get the message everything someone would leave a comment on your website. You can publish, reject or mark it as spam. Note: We have also enabled this option, so from now on all the comments would be publish only after it is reviewed by out human moderator. The action is taken to provide a meaningful conversation to our users. You might be using Google+ Comments. Try disabling that. If not then reload the page or use different browser. If it still doesn't work clear cookies and try contacting blogger support.